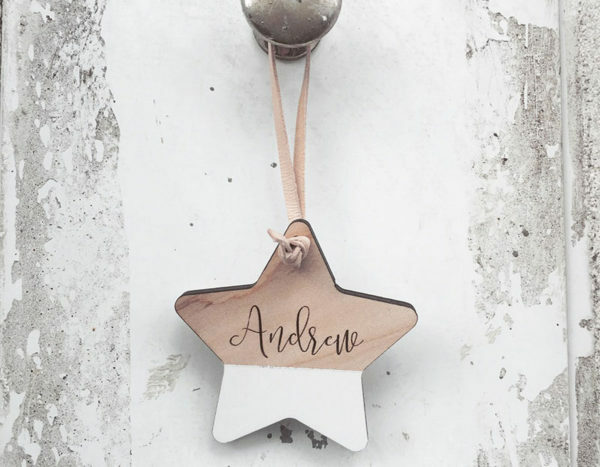 When in search of a keepsake Christmas decoration to be the star of your festive season, look no further than this wooden gem, bursting with personalised Christmas spirit! We take our Santa hats off to Kasoobi and their spectacular timber designs. Six wooden Christmas stars nestled in a star-shaped caddy not only make for an adorable decoration, but also a magnificent gift. Each star is paint dipped, emblazoned in beautiful script with a name or word and finished with a luxe blush leather hanging tie. Christmas Star Caddy is priced $60 and available direct from Kasoobi. Be warned, numbers are limited, so you need to be quick and place your order!